Do these three things to help you start improving mental wellness today! The more we try to create absolute certainty in our lives, the more we may realize how much uncertainty exists around us. It is a losing battle. Sure, uncertainty is uncomfortable, but is it h armful? Discomfort will not hurt us and while it is difficult to sit with, there is relieving power in doing so. On the other side of things, rejecting uncertainty can lead to avoidance of people, places, and situations that trigger uncomfortable emotions in our daily lives. That avoidance can then create a shield between you and what you truly value and enjoy in life. It is my advice to embrace uncertainty in order to let go of all things unknown. Letting go of what is unknown to us as opposed to constantly seeking out answers and certainty, will help you start living in the present moment and feel more balanced. Individuals struggling with depression commonly report an overwhelming sense of impairment when it comes to motivation and engaging in activities that once provided a sense of pleasure or joy. If you have ever thought to yourself, “I know what would help me feel better, but I just don’t feel like doing it” you are not alone. According to the National Alliance on Mental Illness, it is estimated that 16 million adults in the United States have had one or more major depressive episodes in the last year (http://www.nami.org/). This statistic includes individuals from various demographic backgrounds. In other words, depression is not exclusive. The symptoms to look out for are: consistent fatigue, a significant increase or decrease in appetite, psychomotor agitation, depressed mood, feelings of hopelessness and emptiness, interrupted sleep, difficulty concentrating or indecisiveness, feeling extreme worthlessness or guilt, loss of interest or pleasure in most activities and thoughts of death or hurting yourself. If the answer was â€œyesâ€ to five or more of the listed symptoms, and if you have been experiencing those symptoms for at least two weeks, seeking help from a professional counselor is the next step (American Psychiatric Association, 2013). Ok. So, what could help me feel better? Believe it or not, depressive episodes and chronic depression are treatable, and there is substantial empirical evidence to support how we treat it at Chicago Counseling Center (Jacobson, N. S., Martell, C. R., & Dimidjian, S., 2001). Using Behavior Activation (BA), we focus on the various events in an individual’s life and how he or she responds to those events. BA is based on the idea that life has provided little rewards too many stressors or problems. 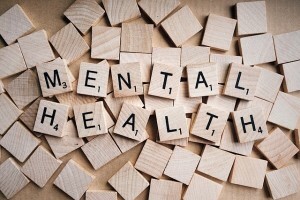 Understandably, this can lead to feelings of hopelessness and sadness which can then disrupt basic routines and result in doing less and less of what was once enjoyable and valuable such as spending time with friends and family, going to work or school, and health and wellness related activities. While it may feel hopeless and extremely difficult to do almost anything right now, coming back to what you value most in life can make all the difference. While implementing BA, it has been demonstrated time and time again that motivation grows when we come back to what is most valuable to us. Eventually isolating and avoiding becomes less comfortable than engaging in what was once difficult before coming to treatment. American Psychiatric Association. (2013). Diagnostic and Statistical Manual of Mental Disorders (5th ed.). Washington, DC. Jacobson, N. S., Martell, C. R., & Dimidjian, S. (2001). Behavioral activation treatment for depression: Returning to contextual roots.Â Clinical Psychology: Science and Practice,Â 8(3), 255-270.